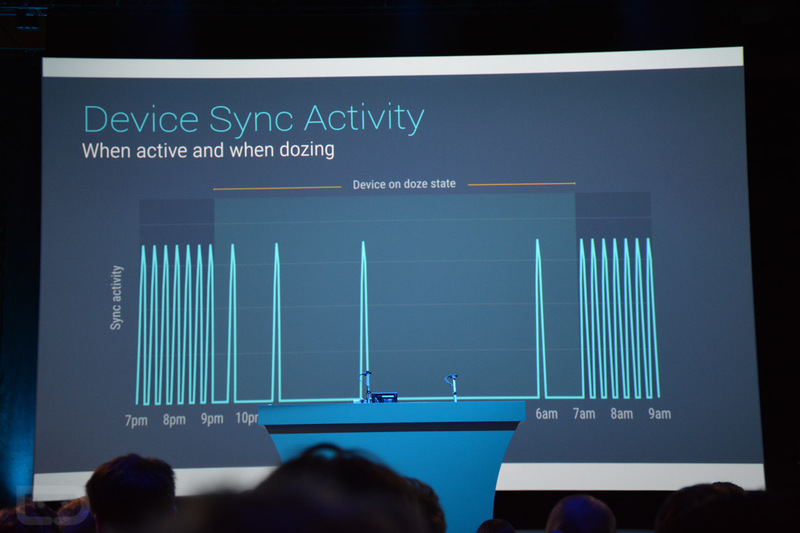 To keep your device alive for a longer period of time, Google announced the Doze power management system for Android M today at Google I/O. Exact details are still highly unknown, but according to Google, when users are running Android M, their device can last up to twice as long thanks to a higher focus on power management when the device is not in use. 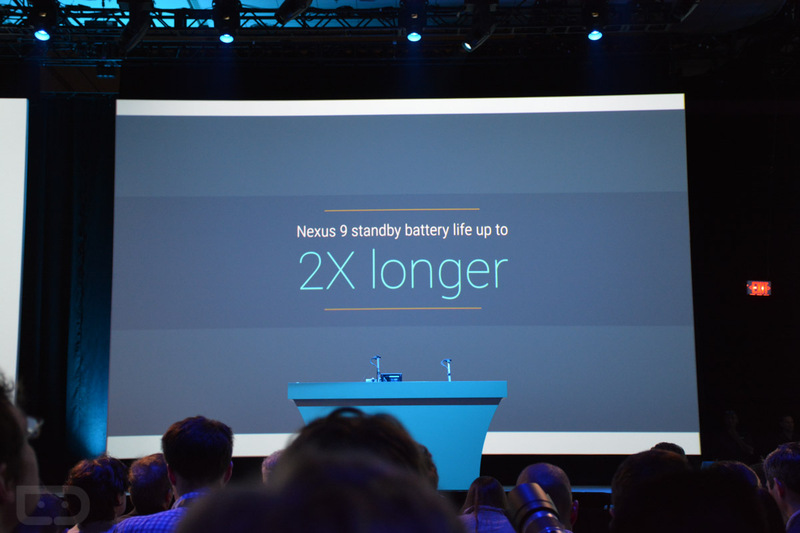 This example was provided through a test on the Nexus 9 tablet, not a smartphone. To explain, Doze basically shuts down all background applications during the night, but can still turn on alarms and receive high priority notifications such as Hangouts messages. Doze will come with Android M, which will be widely available in Q3 of this year. We will post additional info on Doze as it is made available.